the training facility where all the firefighters in Atlanta, GA are instructed. I met the bravest, most amazing people there including the Captain in the photograph above who is a second generation firefighter. 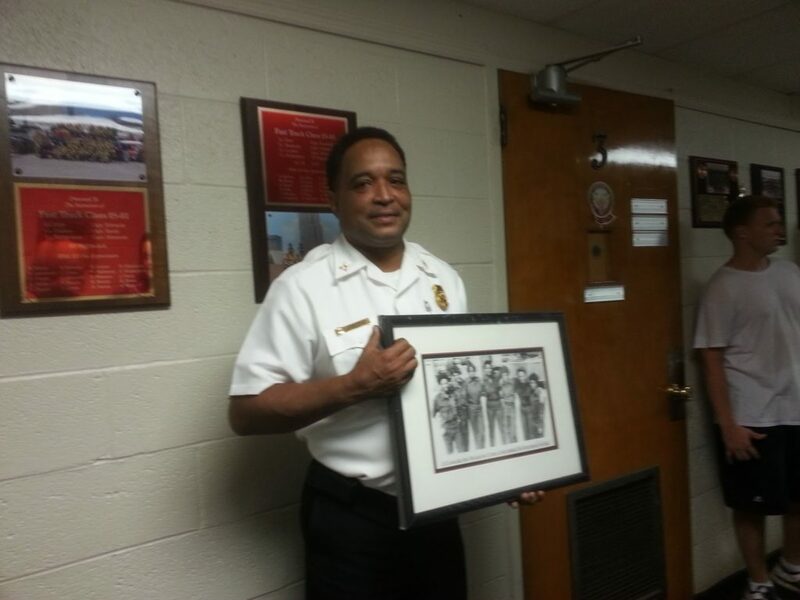 He’s holding a picture of his MOTHER and her female colleagues, the first African American women who were firefighters in Atlanta. These people are honest to goodness heroes who do things on a daily basis that I cannot even fathom. After the tour I checked in and got my snazzy teal badge holder complete with my “First Timer” ribbon. 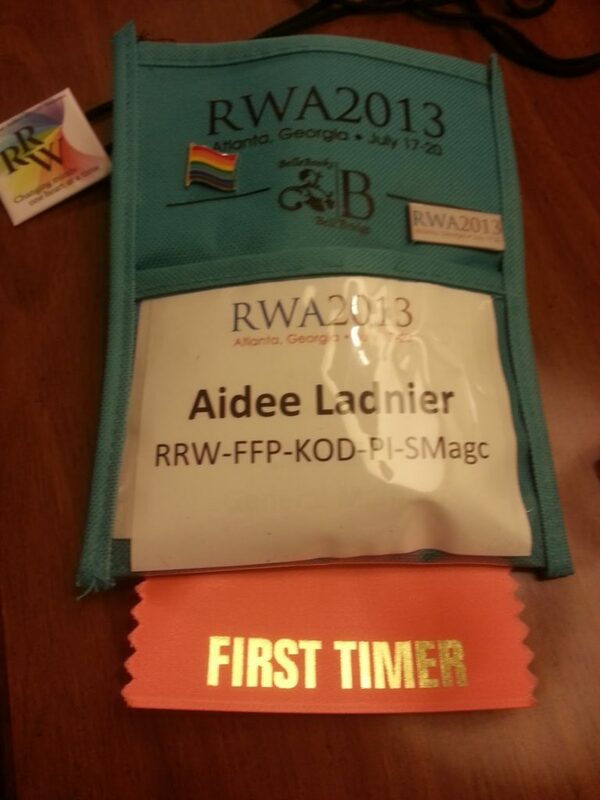 The RWA gives you this ribbon so that other members will know to be extra nice to you and say hello. To an introvert, that is a godsend. I went to my first Kiss of Death Annual General Meeting/Dinner and heard a wonderful talk by Jenna Bennett who spoke of having a character that would not be silenced, forcing her to write a novel completely out of her genre and her comfort zone. I can totally relate to this. I’ve written science fiction, mystery, paranormal, and LGBT. Afterwards I went to the bar to meetup with some M/M writing peeps and met the Rainbow Romance Writers President Damon Suede (who was super nice and gave me a nifty pin with rainbows on it). I met a delightful editor of Harmony Ink, Nessa Warin and after leaving the bar, decompressed while hanging out with a couple of other M/M writers, Kerry Freeman and Andrea Dalling. And now it’s after midnight, but I can’t go to sleep! My day was too too exciting!!! I can’t imagine what tomorrow will bring.